How can you summarize all the things a sunset makes you feel? There is hope for the future, anticipation of darkness, sadness and fondness for the day that has passed, and delight for the beautiful scene before you. 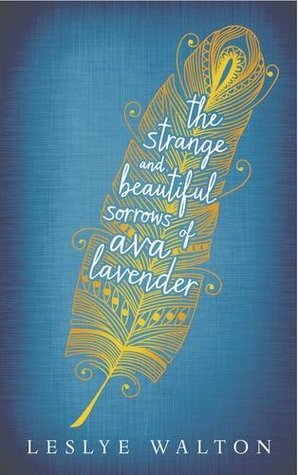 How can you summarize The Strange and Beautiful Sorrows of Ava Lavender? You could say it is a coming of age novel about a girl born with wings, but that would only be a tiny sliver of what this book encompasses. Perhaps you could say it is a YA ‘magical realism’ novel, but it is so strange and wonderful those labels feel inadequate. It is hard to put into words why I love Ava Lavender. Is it enough to say that is makes my heart sigh and sing in the same moment? The story follows 3 generations of women, from France, to New York City and then on to a small town somewhere far away. The family has an aura of oddity, strange things – like a sister turning into a canary out of sadness- are taken for granted as the way things are. Given the the rest of the world is completely normal, and turning into a canary is just as strange in the world of the book as it is in our world, the novel has a very whimsical feel. The only novel I have ever read which comes close to having a similar feeling is Chocolat. I am torn between wanting a sequel, so I don’t have to let the family go, and not wanting one, because the novel is so perfectly balanced when standing alone. Without doubt this is my favourite novel of 2015, and it is going to be difficult to usurp.